I lined up for a couple of hours at Kurosawa Gakki in Shibuya on January 2 for their New Year's sale. There was a rare "Limited Edition" Greco from 1979 with a solid flametop and a cracked neck - only 42000 yen. I was number 6 in line and it turns out that number 3 was going for the Greco. 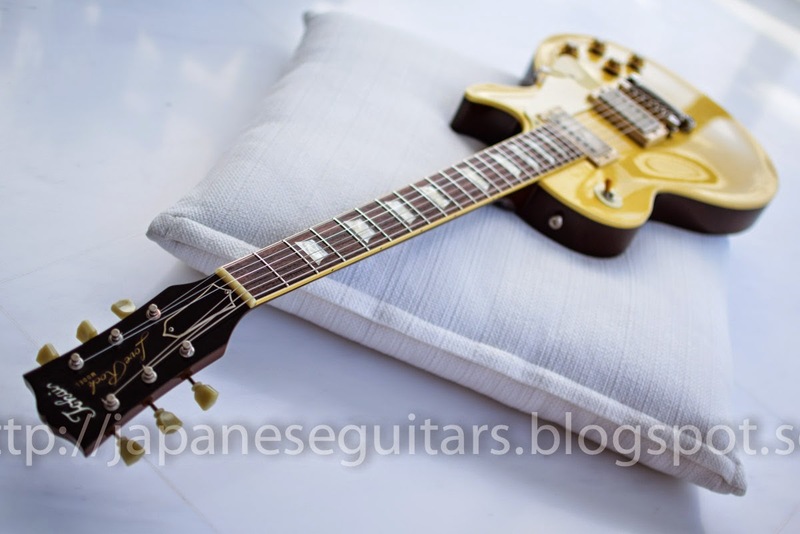 Lucky for me as I ended up getting this lovely 1981 Tokai LS-80 goldtop as a consolation prize. In retrospect I think I may have gotten the better deal as the Greco was not that good looking and had a 3pc back and no Dry-Zs. The Tokai came with original green-lined case, some Greco Grover-style tuners, newer Dimarzio DP103 pickups, chrome aluminum tailpiece and chrome ABR-style bridge. 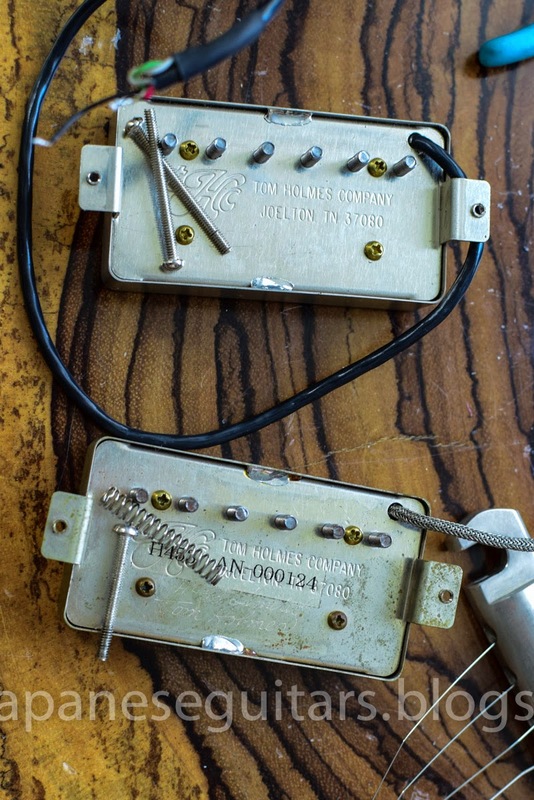 I ended up putting in a Tom Holmes H453 in the bridge and H450 in the neck, replacing the tuners with Gotohs and then replacing the tailpiece and bridge with all-parts nickel hardware. With a nice fat neck and great sustain this LS-80 is one of the best LPs I have ever played. I ended up getting a new Nikon as well so here are a few shots through a D5300.